Estragon in the South End is a great spot for tapas, I've been going for years and I'm not sure why I've never written about them before! 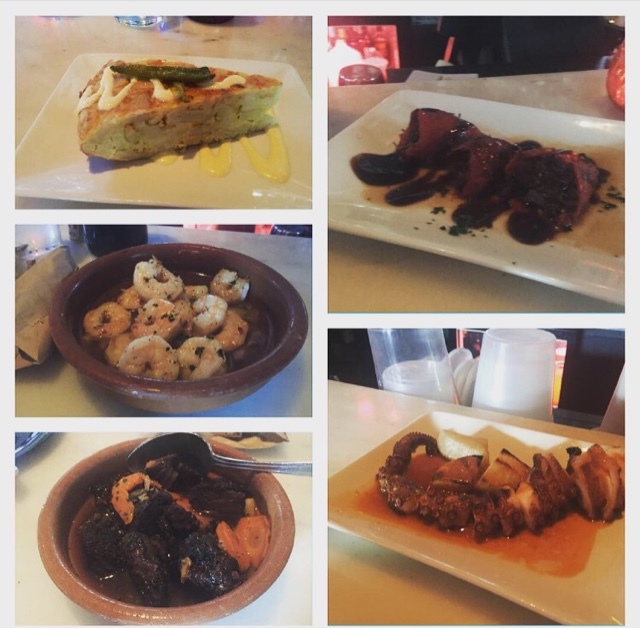 In my most recent visit I tried a mix of old favorites: the tortilla, garlic shrimp, and braised beef cheeks along with two dishes I'd never tried: piquillo peppers stuffed with braised goat and grilled Spanish octopus. The classics were just as good as always; the beef cheeks incredibly tender and the tortilla a very generous portion and perfect balance of egg and potato. I also enjoyed the new dishes, especially goat stuffed piquillos. The meat was incredibly tender and topped with a balsamic glaze that brought out the sweetness in the peppers. Estragon also has a great wine list with plenty of bottles at price points that pair well with the food. It's a place I know I can always go for a reliably good meal.